Malta - the Jewel of the Mediterranean. 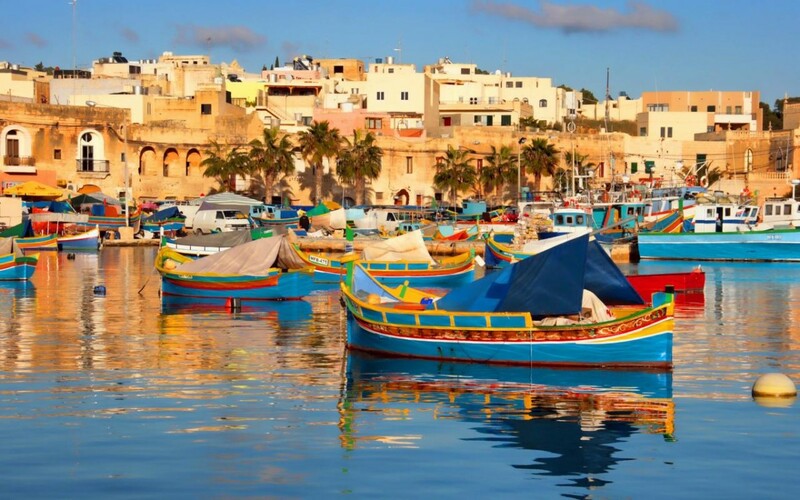 With crystal clear waters, secluded coves, breathtaking sunsets, and stunning scenery mixed with the warm hospitality of the Maltese people makes these islands one of Europe’s most romantic destinations. Apart from the beautiful sunshine these islands are blessed with a wonderful array of wedding venues that will simply take your breath away. From elegant palazzos steeped in history to beautiful country manors with lushes gardens. 18th century farmhouses surrounded by vineyards to al fresco dining under the stars with the Mediterranean waters for a backdrop. Or why not opt for a wedding on the beach, where sandy beaches and clear blue skies meet the simplicity of the perfect wedding you always dreamed of. 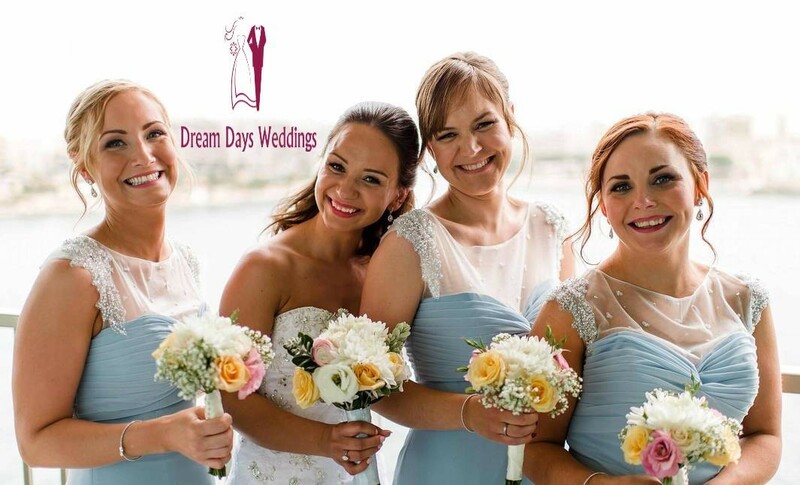 Whether you are looking for an intimate celebration for two or a more lavish affair surrounded by friends and family, a civil or a church ceremony, Dream Days can bring that touch of magic to the most important day in your life. 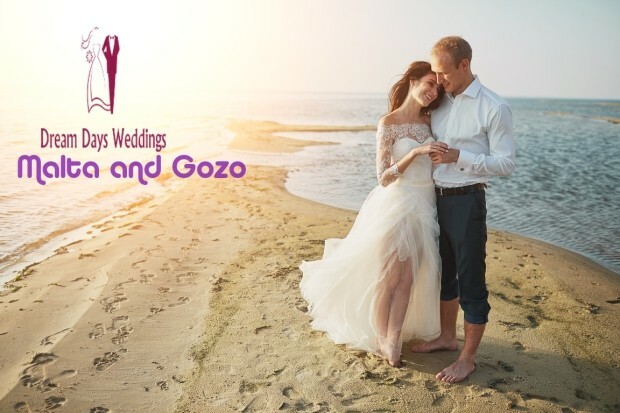 We tailor make your wedding day according to your requirements and to a budget of your choice and we look forward to making your wedding in Malta one you and your guests will never forget. Weddings in Malta can be purely in civil form or combined with a church ceremony. The legal formalities are relatively simple and similar to those required in your country, and Dream Days will assist you with everything. We both look forward to working with you to create your special day. Visit our site above for more information. Mariella and Mark provided us with an excellent service. We got married in July 2017 in Malta (Palazzo Villa Rosa, St. Julian's) and the entire experience was a dream come true. We are both busy professionals, so with little free time we needed a good planner to help us organise the big day. Dream Days did a fantastic job. In the planning process for a big event, inevitably things can go wrong and unexpected challenges arise - for example, being two different nationalities as a couple, our paperwork processing was a complete nightmare and almost jeopardised the wedding - but Mariella saved the day for us, and on several other occasions, her advice and assistance kept everything on track. Mariella and Mark took the time to arrange and bring us in person to view 8 venues a year before the wedding, and brought us to the registry office appointment a few days before the wedding. They booked the venue for us once we had chosen it, organised our photography, hair and makeup, flowers, caterers, cake, table plan, transport for guests from the airport to their hotels and to the venue on the wedding day, an after party event, and numerous other little things too long to list here. All with our input and consent of course. Mariella was on site all day before the wedding started to oversee the preparations with suppliers and the layout of the ceremony and dinner/reception (we had a civil ceremony in the same venue). She stayed throughout the wedding to help manage the flow of everything so it was like a dream and we didn't have to worry about everything. Malta itself is an amazing location for a destination wedding, with something for all ages so your guests can make a great holiday out of it. I would highly recommend Dream Days as planners. We cannot recommend Dreamdays highly enough !! We were married in June 2017 at Villa Arrigo Naxxar and from the very moment we met with Mark and Mariella 3 years ago we knew that we were in safe hands. Most of our organising was done through e-mail with a couple of visits to finalise and Mariella was a joy to work with throughout. Everything from venue, flowers, cars to the registrar (Roberta, who was lovely) was organised with great, friendly professionalism. Mariella's vast knowledge, experience and contacts were invaluable and she was even able to get us an extension with the register office when our paperwork was delayed in Scotland. Our heartfelt thanks go out to Mark and Mariella and just wish that we could do it all over again !! We got married on the 4th of May and had the best day. We traveled from Ireland so all the planning was done through email. Mariella made everything so easy and in the full year of planning we had no problems or setbacks. On the day itself I honestly didn't feel any pressure or stress as I knew Mariella had everything covered. Nothing was to much trouble and if we were to do it all again we would definitely go with Dream Days ???? What can I say other than amazing... Myself and my new hubby got married on 1st June 2015 at the Quadro on the Reef venue of the Westin Dragonara Resort in St. Julian's in Malta. We used Dream Days as our wedding planners - Mariella & Mark were just outstanding. You will certainly not be disappointed if you entrust your special day with them! Our journey with Dream Days started back in 2013, we met Mariella & Mark in Dublin and immediately knew we were in safe hands if we chose Dream Days and Malta for our wedding abroad. After discussing our ideas with Mariella & Mark they came up with the the perfect match for us. All the planning from venue, cake, flowers, paperwork, entertainment and decorations was handled seamlessly! Dream Days were always there for us through each part of the planning process, offering advice and suggestions when we needed it so that we didn't break the budget! ???? We had 51 guests in total for our wedding in Malta and each and every one has commented on how perfect the day was. Dream Days were on hand the whole day to make sure everything went like clockwork, I don't know how we could have done it without them. If you want a stress free perfect wedding day of your dreams, we 110% recommend Dream Days! We cannot thank Dream Days enough for their hard work in planning our wedding. It is really difficult to plan a wedding in Malta from the UK as you can’t meet many people before the big day, but Mariella was fantastic at understanding what I was asking or looking for through email communication. We could not have asked for a better wedding. Everything was amazing and the venue was so beautifully decorated, far beyond anything we had imagined our wedding day to be!! We were able to truly relax and enjoy our day knowing Mariella was coordinating everything so smoothly behind the scenes. Mariella even found me a safety pin when my dress wouldn’t bustle up properly – completely saved the day for our first dance! Our special day was perfect, and would not have been the same without Dream Days, we recommend them to anyone thinking about getting married in Malta. Hi All, The reviews written to date could not describe any better this dynamic duo. I am currently planning my wedding with Mark and Mariella, with a date set in June 2015. Very shortly after getting engaged we met Mark and Mariella in Dublin. The variety of options and venues available blew us away. Having thought about it for a short while, we booked a weekend break to Malta in February 2014 to meet Mark and Mariella. Everything was planned to perfection and with Marks help on the day we were able to decide on a venue. Since this date we have never looked back. The level of service provided has been outstanding. They have a perfect balance of fun and professionalism. No request has been too much and everything to date has been planned to perfection. There are 4 months to go until the wedding and approximately 90% of the planning is complete. There hasn't been one moments stress throughout the entire process. Dream Days Malta get the thumbs up from me. I cannot recommend them enough. We wish you continued success in the future. We were looking for a relaxed intimate celebration with just 30 guests! I emailed lots of wedding planners and they did not show any interest in helping us plan our wedding because our guest list was limited! I found Dream Days using a Google search and from the moment I started emailing Mark and Mariella I felt totally at ease! I described my dream location and church and Mark sent me som pictures of the church and venue. They were perfect! The church was small and our wedding party was just the right size to 'fill' it. The venue was spectacular! we had a great day and holiday in Malta! Both Mariella and Mark were very professional to deal with. They also responded quickly to emails and fulfilled all my requests! Fantastic service. Guided us along the way. Could not have had such a fantastic day without the expertise of mark and Mariella. And not just for the wedding, they arranges outings for our party and day after party. Top notch. Overall I would highly recommend Dream Days for anybody getting married in beautiful Malta. From the moment we met Mark and Mariella their level of service was second to none. Their extensive local knowledge of Malta, coupled with their professionalism, enthusiasm and dedication made our wedding in May 2012 one that we and our guests will treasure for years to come. Thank you guys!! We got married on the 1st of August 2013 at the edge Radisson Blu. We only contacted dream days in march to see if it was possible to have a summer wedding and of course it was no problem. From then to the wedding day all correspondence was both quick and efficient, they give us loads of venue options and the church they choose was just perfect and fr michael added so much to our day. The photographer took some fabulous photos for us to remember this wonderful day. Mark and mariella provided us with a fantastic day much better them we could ever imagine. We could not recommend Malta and dream days highly enough to any couple thinking of getting married aboard. We got married on June 24th this year in Malta and Mark & Mariella at Dream Days were there every step of the way to make it all run smoothly. From the very begining of the planning process they were both super positive and more than helpful with everything we needed. We had a wonderful ceremony and dinner in The Villa and will never forget our romantic day. Big thanks to everyone at Dream Days for making it all so easy! Can highly recommend Mark & Mariella at Dream Days to anyone thinking of getting married in Malta! 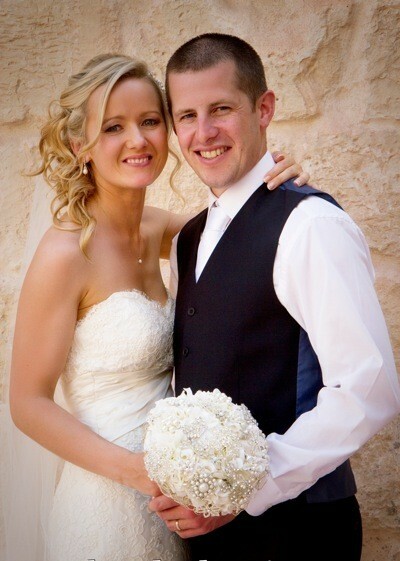 We got married on the 1st July 13 in Malta & we highly recommend Dream Days as wedding planners. Our Wedding Day was a million times better than we could even have imagined & Mariella & Mark made this all possible. We had a beach wedding at Paradise Bay & it was literally like a fairytale. It was beautiful. They organised the set up & the registrar & everything went so smoothly on the day. Our reception was at the Edge at the Radisson. The food was AMAZING.. People are still talking about it. The DJ was great, he had everybody up dancing all evening & again Mariella stayed around to ensure we had a great evening & I can honestly say the whole day went without a hitch. We were worried as we live in Australia but they made it so easy for us that when we got to Malta we didn't have to worry about anything. They had everything covered. If you are looking to get married in Malta, they are definitely the way to go. For those of you who only read the first few lines of a review, I cannot recommend “Dream Days” enough for getting married in Malta! They handled everything perfectly and I can honestly say without them we would not have been able to get married in Malta. They are worth every penny/cent! The following is a shortened version of why my wife and I feel this way please read on and you’ll understand why we recommend Mark and Mariella... We decided to get married in Malta but being a Catholic country and with me being a Protestant and SInead a Catholic we were worried about being allowed to marry in the Catholic church so we contacted a few different wedding planners in Malta. Mark was the first to contact us although we did still look into other options and other planners as well. However Mark was the only planner that was available to meet in Ireland so we made an appointment to meet with him and we didn’t look back. We decided to holiday in Malta to check out the country and the venues available to us. Mark met us in our hotel and spent a full day showing us venues and churches. It was during the visit to the first church we met Mariella and she was able to answer every question we had about getting married in Malta, the venues, the church, the priest and the caterers. It was evident that both Mark and Mariella knew their industry inside and out. We then went our separate ways and met for a coffee the day before the end of our trip to discuss what we had seen/decided. We made the decision to go with the church in Balzan but we were not sure on which venue to go with. With Mark’s help we decided on the Vineyard – and are so glad we did! They have an excellent indoor and outdoor venue, so we didn’t have to worry about any unexpected weather. Thankfully we got the sunny day that he hoped for, but it meant we did not have to worry about the weather as it had a fabulous indoor option ‘just in case’. Upon our return to Ireland we started conversing with Mark and Mariella over email and started planning our wedding. They were very professional and quick to reply, however as time went on they became a lot less formal but the level of professionalism never dropped and the experience was very friendly, it became evident very quickly that our wedding was just as important to Mark and Mariella as it was to us. We had a lot of requests (some very last minute) that were handled very quickly by Mark and Mariella in basically organising a three day wedding. Our three day wedding included a Hera cruise, pre-wedding dinner, the wedding, and a post wedding BBQ. We encountered a few problems that would have cancelled a few weddings and caused some couples to have a mental breakdown but everything was handled perfectly! •	With the pre-wedding dinner we had 3 venue changes due to several different issues but in the end Mark managed to secure us a restaurant exclusively for our party for the night and the food was excellent quality and huge portions! •	For the day of the wedding we found out less than a week before the date that there was to be major roadwork’s taking place outside the church entrance and that the council advised we get married in a different church. Within hours Mark and Mariella managed to find a new church, re-issue the banns in a new parish (a huge feat! ), and re-arrange all the other details associated with the original church. For the size of our wedding it turned out to be a better church for us, with a real red carpet, and Father Tony was excellent (as commented on by all our guests). Then we had to add an extra guest for the dinner on the day and again this was no problem to Mariella. •	The BBQ had to be changed at the last minute from 7pm in the evening to 2pm in the afternoon , which again Mark and Mariella negotiated on our behalf and arranged without even bothering us with how they did it. Everything that they did, and fixed was with a real ‘I will organize that for you, don’t worry’ attitude. We would get a call an hour or a few hours later and the problem or issue was gone... With these issues we were delighted to have Mark and Mariella on our team. What could have ruined a well planned 3 days was simply a speed bump on the road to them and everything else went on without incident. All of the suppliers that Mark and Mariella recommended to us were excellent! The Venue was Amazing and so was the food, we have been to 4 weddings in the past year and personally I believe we had the best venue of all 4 (many at our wedding did agree to that). The BBQ at the Radisson was also a massive hit with our guests as the food was of an incredibly high standard and the food just kept coming! We were under no pressure to move on and we found it the perfect way to thank our guests for coming and to wish them a safe onward journey, it rounded off the occasion perfectly. Well done Mariella and Mark. And from the bottom of our hearts, thank you!! We booked with Dream Days to get married next year. Mark and Mariella were so helpful answering my million and one questions really quickly, I was very excited and happy that i had found a wonderful company to arrange my wedding for me. Unfortunately we have since had to cancel due to unforseen circumstances but if we were ever in the position to re-book we absolutely would. Mark and Mariella of Dream Days organised our wedding at Villa Arrigo on May 7th 2012. From our first contact with them in August 2011, up to the last moment of the day itself, we were delighted with their professionalism, approachability and attention to detail. Our day was perfect in every way and much of this was thanks to Mark and Mariella. We cannot recommend them highly enough. Mark and Mariella organised our wedding on 12th July 2012. It was a magical day and that was all down to them. Nothing was too much hassle, and it was a pleasure to communicate with via email, phone and during our resort visit. I would recommend them to anyone thinking of getting married in beautiful Malta! We used Mark & Mariella as our wedding planners in Malta and to say they know their profession inside out is an understatment. From the first time we made contact with them till we left Malta after our wedding everything was conducted with such ease and professionalism. Nothing is a difficulty. Once an email is sent to them there is a responce within 24Hrs. Our wedding was the best day of our life and this was partly due to the work and effort put in by Mark & Mariella. I have also a work collegue who used dream days and she recommended them to me and she was also more than happy with the service provided. I have no hesitation in recommending dream days to anyone. We got married in May 2012 on our third visit to Malta. We had met Mark and Mariella on our first visit and it was mainly due to their expertise and guidance that we decided to have our wedding in Malta. They helped us with venue's, church's and hotel's and were 100% spot on with all of their choices. 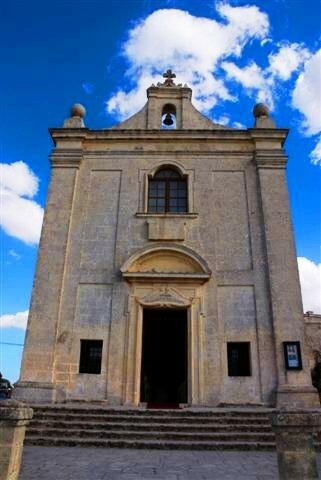 We got married in a beautiful church in Balzan and had our reception in Villa Arrigo, definately the finest wedding venue we have ever been to. Mark and Mariella worked so well with the venue and organised the perfect wedding for us. The day and indeed week were flawless and all of our guests had a fantastic time. We could not recommend Dream Days and Mark and Mariella highly enough. They ensured we had a stress free and amazing day to remember. If you want the perfect wedding in Malta, Dream Days is a must. 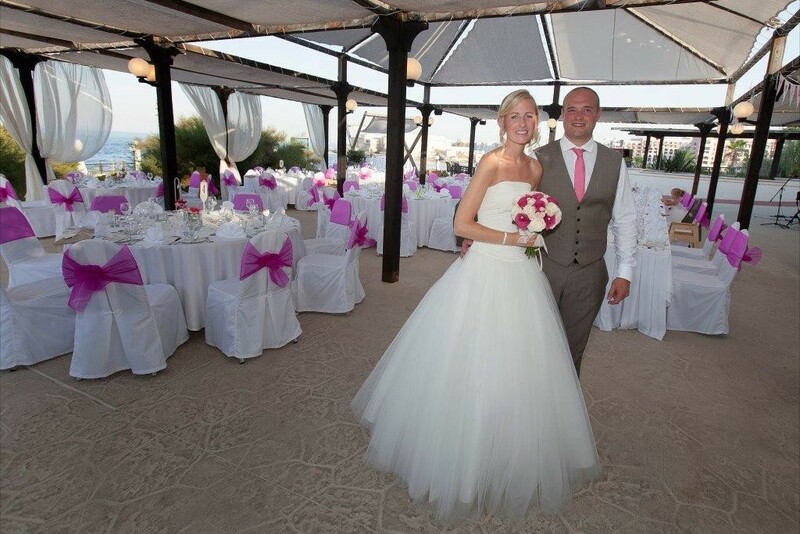 Mark and Mariella helped us plan our wedding in Malta from the USA which is where we are based. Initially we selected them because of their professionalism and responsiveness to all of our messages and questions - and we are very glad we made the choice. The wedding planning was smooth - with the responsiveness continuing throughout the process right up to the morning of the wedding when Mariella brought me medicine to try to cure my lost voice! Ultimately, thanks to the help of Mark and Mariella, our wedding was perfect in every way. Due to the distance, we did not meet the vendors before committing which can be concerning when planning a wedding. However, all vendors recommended by Mark and Mariella exceeded our expectations. We got married in a church in Hamrun, and the reception was at the Radisson Blu. The venue and Mark and Mariella worked perfectly together to ensure everything went amazingly on the day! Our guests from the UK, US and Malta are all telling us that it was one of the best weddings they have ever been to, and that is a testament to Mark and Mariella!Thank you guys for the wedding of our dreams! And we hope to see you again when we visit Malta in the future! If you are seeking a fairy tale wedding, with no stress regarding the organisation of your Big Day, then you must contact Mark and Mariella Burton. Upon meeting this wonderful duo for the first time, we realised they cared as much about our big day as we did and were prepared to give their all to ensure it fulfilled our expectations! !From the ceremony, to the organisation of a harpist, dj, flowers, photographer, videographer, transportation, and a professional hair and make-up artist, they pour their hearts into every detail of planning your special day. Mark and Mar, thank you for giving us our fairy tale wedding! We first met Mark and Mariella when I visited Malta last May. Since booking our wedding with them we have been very impressed by their professionalism, attention to detail and their interest in making our day as special and personal to us as possible. Preparing for our wedding has been virtually stress free and a really fun and exciting experience thanks to M&M!!! Dear Mark/Mariella, Our-pre-wedding visit to Malta was most helpful and once we met with you guys it really put us at ease. Your prompt response to emails once home makes the wedding planning a wonderful experience. Thank you so much for all your help and patience.